We’re all familiar with Aesop’s fable “The Town Mouse and the Country Mouse”, which Beatrix Potters later adapted and popularized as “The Tale of Johnny Town-Mouse”. While written in their day to extoll the virtues of simple, peaceful country living, the idiom could easily be adapted to portray today’s conversations about the disparity between urban and rural churches. 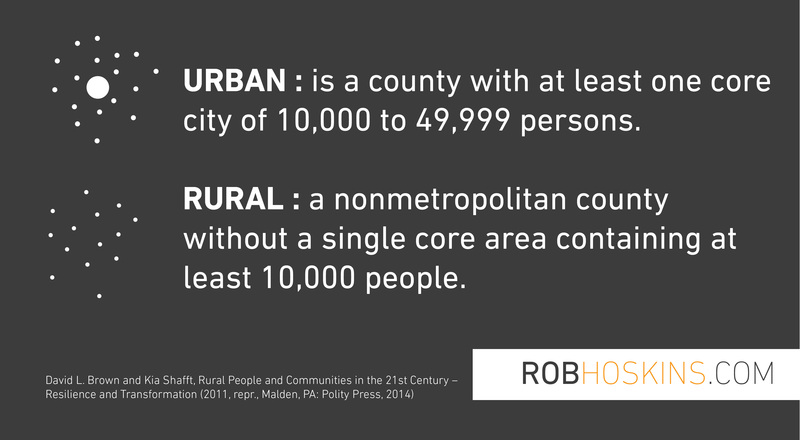 While most people in society live in urban settings, more than half (1,378 out of 3,142) of all counties in the United States are considered rural. According to the U.S. Census Bureau, 65 percent of counties in the U.S. are rural in population size. More than two centuries ago, Adam Smith’s Wealth of Nations prophesied that there would be ongoing division yet mutual reciprocity for survival between the country and city. What Smith couldn’t have foreseen was our dramatic rise in media and agricultural technology. This, in essence, has led to a massive urban increase. In just one century, global population residing in cities has risen from 14% to well over 50% and is projected to rise to 72% by 2050. The implications for the U.S. Church are profound. Most countries where we work internationally are the last places to receive church planting opportunities because, in many cases, their remoteness renders them unreachable. This is not the case in the U.S., where a rural Sunday drive is dotted with steeples. However, many of these churches are deteriorating to empty shells as younger populations move into the city for opportunity and access to resources. I have heard numerous pastors share stories of fielding questions like, “Where is the closest Starbucks?” while interviewing younger staff candidates. The ubiquity of the Internet has been called the death of geography since people everywhere have instant access to the same information and entertainment. However, the new cultural phenomena does impact values, tastes and expectations. The historic belief in small-town values are being tested. These new realities are redefining what a healthy church looks like in a rural community. New successful methods of rural church planting and revitalization are finding traction and starting to reap great rewards. – The Church becoming the primary provider for social solutions including treatments for mental health, drug addiction, suicide prevention etc. 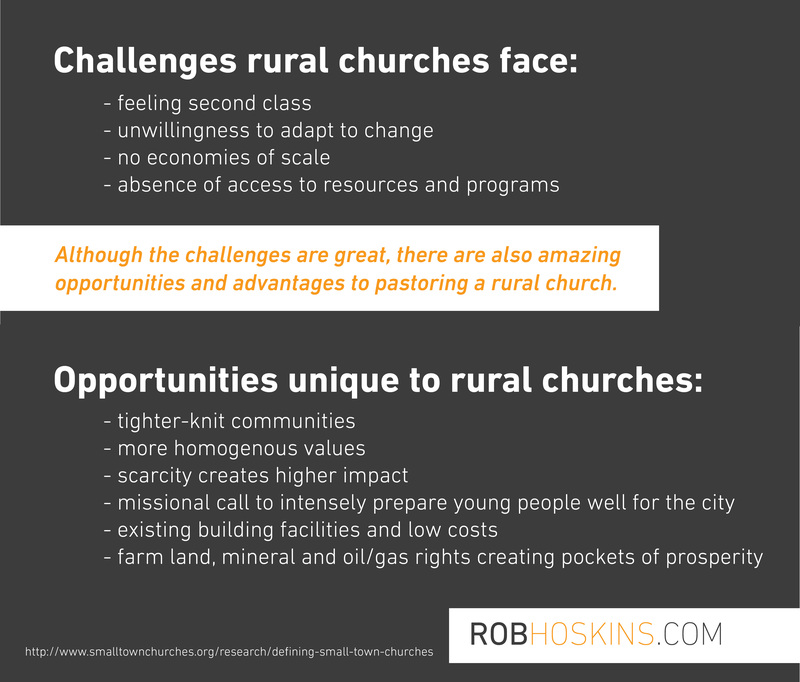 OneHope is committed to serving a new #RuralMatters church planting movement. This massive new #RuralMatters movement is being being spearheaded by Bryan Jarrett, Lead Pastor of Northplace church in Texas. “When a gifted young leader leaves the US to serve the rural and village people of another nation for the sake of the gospel, we laud their sacrifice and hail them as heroes. And we should. But there is a hypocritical dichotomy in the way we view the souls of the people living in our own hamlets, villages, and small farm towns compared to those of other nations. If that same gifted young leader chooses to serve a small church in rural America, we whisper under our breath, “It’s a shame such talent is wasted in such a remote place.” Or…we assume that those rural people in that small town are only good enough to be a training environment for that young leader until a “real” ministry opportunity arises. We are excited to partner with this initiative. Because we need vibrant, healthy, life-giving churches equipped to evangelize and spiritually develop the next generation of children everywhere—even in the country. Want to learn more about #RuralMatters or be a part of the movement?